Install 20+ Linux Distros with 1-Click. FREE 1-IPv4 | 5-IPv6 IP Addresses. Take a Instant Strike to your Business - Premium KVM VPS Hosting! - Starts Just @ € 8.99* /mo. .
*Get Maximum 20TB Bandwidth per month. General Terms & Conditions Apply. †FREE Plesk Admin Panel for 3 months with any above KVM VPS Packages subscribed annually. ‡FREE Migration is available only in case you subscribe to any above KVM VPS Package with Premium Control Panels. **Weekly Backup is available on any above vps package with Premium Control Panels Subscription. Discounts are applicable on Monthly Subscription. Wide Range of Linux/Windows OS`s. FREE 1 IPv4 and 5 IPv6 Address. Our KVM Powered VPS Hosting is provided on Solusvm Platform. All our valued customers are able to easily access and maintain their VPS via Solusvm Control Panel(reboot,shutdown,OS Install/Reinstall, Traffic Monitoring etc..) all in one click. ScopeHosts uses Industry`s Latest Hardwares and servers powered by Samsung Evo SSD`s Drives running on Hardware RAID-10 with BBU. These SSD`s offer highest I/O output with additional data protection!. Our each node is enabled with HyperThreading Technology to retrieve power from each core and connected with 128GB DDR3 ECC RAM, 16CPU Cores. We provide Reliable KVM VPS in Netherlands and Germany locations with servers having fast service management and scalable infrastructure. Now easily store your work in a fully protected virtual KVM environment. Choose the Premium VPS Hosting plans with blazing fast SSD in RAID 10, giving the optimal performance and extreme reliablity which is excelling than traditional hard drives. Highly-Available, Fully Redundant VPS Infrastructure. "I'm extremely satisfied with the quality of services provided by Scopehosts. It actually helped me to revive my business and grow professionally with Highly configured VPS solutions." "The support team retained by Scopehosts is well-organized and is quick in responding to any queries. I never had to wait for very longer period to get any of my issues resolved.I suggest the aspiring business firms to go for Scopehosts hosting services to actually evidence the business uprise." "Scopehost has the high standards for the raised bar in the hosting industry. It has assisted me in migrating my websites from the previous host. I am grateful to the customer support team as it provides very accurate solutions." 1. What is a KVM VPS ? Ans: A KVM (Kernel-based Virtual Machine) is a virtual private server which sits on top of a physical dedicated server. Resources are dedicated to the VPS and are not shared with other users on the physical server, offering tremendous reliability and performance. 2. What is the difference between OpenVZ and KVM ? Ans: OpenVZ and KVM are the different platforms we offer hosting on. Each has its own unique advantages, disadvantages and price differences. For more information please click here. 3. How many IPs come with the VPS ? Ans: Each KVM VPS comes with One dedicated IPv4 and Five IPv6 address. 4. How many IP can I have extra ? Ans: You can buy 1 additional IP with each VPS. 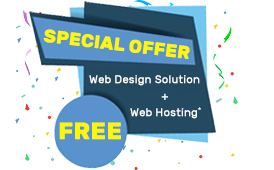 For more details you can contact our hosting support experts. 5. Is there a trial period or money back guarantee? Ans: We do not offer a trial period, but we do have a 30 days moneyback guarantee. If you are ever unsatisfied with our VPS Hosting service, you may cancel at any time within first 30 days of your service subscription and you will get refund. 6. Is your VPS managed ? Ans: Our KVM VPS are totally unmanaged. You can avail our Management service as an addon feature. To get the best management support service contact our hosting support experts available 24/7. 7. How can I manage KVM VPS ? Ans: You will be provided with SolusVM Control Panel through which you can Install/Reinstall OS with 1-Click, Reboot/Shutdown/Boot KVM VPS, Monitor Resources like CPU/RAM/SSD Space/Bandwidth usage and VNC Console etc. 8. Where are your datacenters located? Ans: ScopeHosts premium KVM VPS Services are located at TIER III+ Datacenter like, Netherlands and Germany. You can choose either Netherlands or Germany based servers as per your website or business specifications. You will get premium bandwidth with the fastest connectivity across the globe. 9. On what platforms are VPS based? Ans: ScopeHosts KVM VPS are designed for Linux and Windows platform. 10. What operating systems do you provide with this VPS Hosting service? Ans: We sell Centos, Debian, Fedora, Scientific, SuSe, Ubuntu ,and Windows 2008 ,2012 on our VPS. 11. Are VPS setup instantly? Ans: We believe in serving you quickly. Hence are VPS are setup and deployed immediately once the payment is received. 12. Which control panel do you provide? Ans: With KVM VPS Hosting we provide cPanel, ISPManager panel, DirectAdmin panel and Plesk control panel. 13. Do you support Migration? Ans: We migrate you from old hosting provider for free, only in case you wish to subscribe to any KVM VPS Package with Premium Control Panels. 14. On what RAID levels are cheap KVM VPS based? Ans: Our Premium KVM Virtual Private Servers are based on Hardware RAID 10. 15. What type of RAM will be provided? Ans: Our best VPS comes with SWAP memory instead of burstable RAM. This SWAP RAM helps the KVM to perform better than OpenVZ. 16. Can I get a customized VPS according of my preference? Ans: Yes, we do provide customized VPS solution. You contact our Sales team for customization. They will give you the best suitable plan according to your requirements. Mail us at sales@scopehosts.com. 17. Can I upgrade or downgrade vps hosting plans? Ans: Our VPS Services are extremely flexible. Yes! you can downgrade or upgrade the package anytime during the active contract. Just open support ticket and request for upgrade or downgrade of package. 18. What is your backup policy? Ans:We will not be providing backup with KVM VPS. You need to order for backup while ordering the VPS service. 19. What support do you offer? Ans: We offer support thorugh ticketing system, live chat, telephone and email support for 24 hours a day, 7 days a week. 20. How do I set reverse DNS for my static IP address? Ans: For now, you need to raise a ticket, in future we will be incorporating RDNS in client area only. 21. How can I track my bandwidth use? 22. Why can’t I connect to my server using RDP? Ans: If you’ve never used the server before, try logging in over VNC, as our pre-installed images require some setup (such as the initial password creation) to be performed before RDP can be activated. If you can login over VNC but cannot connect over RDP, kindly raise a support ticket. Our technical team will assist you on this. 23. Can I have full access over the VPS? Ans: You will be provided with Full Root/Administrator Access on the VPS. You can manage all the aspects of your VPS in any prefered way. 24. What is your uptime guarantee? Ans: We provide 99.99% uptime guarantee. 25. What Payment methods do you accept? Ans: We currently accept PayPal, WebMoney, Bank Transfer, PayU, DotPay, UnionPay, Qiwi, iDeal, Yandex.Money, AliPay, TrustPay & GiroPay. Ans: You will be provided with SolusVM Control Panel through which you can Install/Reinstall OS with 1-Click, Reboot/Shutdown/Boot KVM VPS, Monitor Resources like CPU/RAM/SSD Space/Bandwidth usage and VNC Console etc..